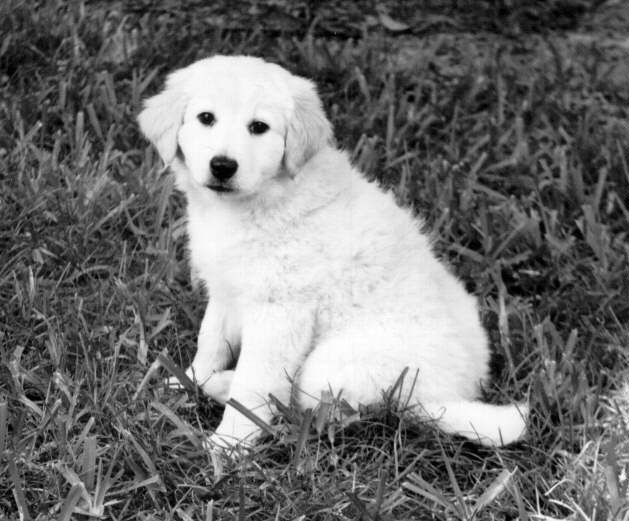 The AMERICAN CREAM DOG -- Discover What Is Possibly the World's Most Intelligent & Best All-Around Breed! THIS IS THE ACPBA HOME PAGE! We're the proud owners of American Creams. We belong to the American Cream Puppy Breeders Association. We'd like to tell you a little about these outstanding canines. They are beautiful dogs. Clean, intelligent, wise. They are a new breed of dog, developed to be a special companion for home and family, and for every stage of human life. They were created in honor of an unrecognized American patriot. "Aceys" are mid-sized, up to 40 pounds. Some live 20 yrs. A 10 year old Acey may bear healthy puppies. Hypoallergenic hair, minimal "doggie odor." Little grooming needed. Thrifty, eat less food. Retrieve, Search-and-Rescue, Guide, Companion, family dogs..
Have been tested in psycholinguistics experiments at University of Louisiana. One learned American Sign language. The American Cream will guard you, pamper you, and insist on being your very best friend. They have great compassion for the handicapped. 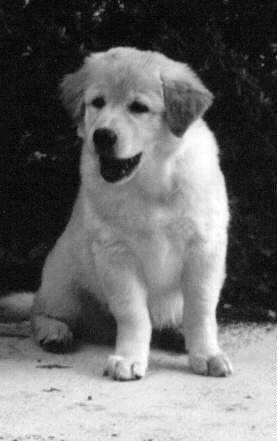 "ACEY" genetics include Norwegian Buhund & yellow labs from guide dog lines. "Susan" has been tested to know more than 250 words. We are seeking people interested in adding greater gene diversity to the gene pool.. THE ACPBA is reactivating Sept.1st. WON'T YOU JOIN US? FACT: we need to breed more "ACEYS"! ACPBA, c/o Judyth Baker, 2314 Kaliste Saloom,attn. Cassie, Lafayette, LA 70508.